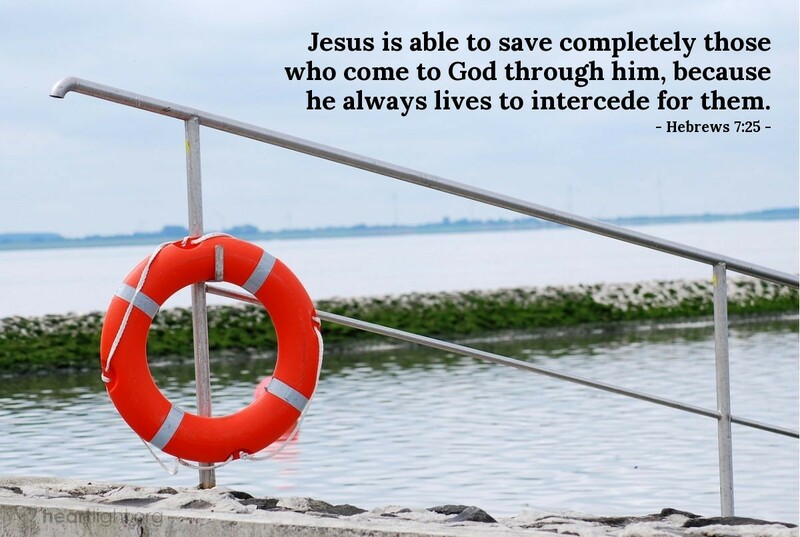 Jesus is able to save completely those who come to God through him, because he always lives to intercede for them. Jesus didn't just come and die for us. He wasn't just raised to give us life. No, as incredible as those gifts are, he adds another blessing to all he has done for us: until he can come and take us home to God, Jesus lives to ask God for grace in our behalf. Jesus is not only our Savior, he is our defender and brother at the Father's side! Precious Savior, my Jesus, how I love you. You sacrificed heaven for me. You gave up dignity to redeem me. You destroyed death to assure me. But today, I am most thankful and most aware that every prayer I offer and every step I take you are in the Father's presence to bless me. Thank you. Amen.